The best part about the weather getting colder? 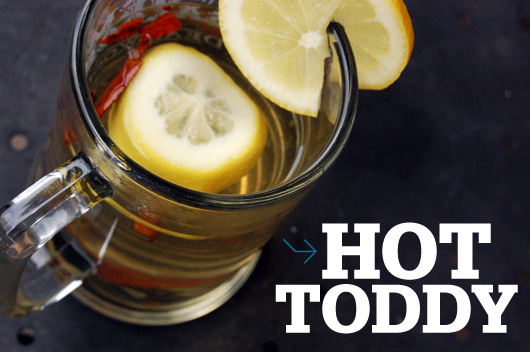 An excuse to make some classic drinks to keep you warm, of course. For better or worse, I always associate fall with learning and productivity. Just because you’re no longer hitting the books doesn’t mean that this isn’t still the season for a little edification (in this case, of the potable variety). So, as the days get shorter and the nights cooler, why not turn your mind to mastering this slate of autumn-approved beverages? A great Sunday afternoon project. Check in on it during commercial breaks in your FBS game of choice. The website housing my go-to recipe is down, but this is pretty close. Simmer for an hour instead of 10 minutes and use two black tea bags instead of the 2 Tbsp of loose stuff (unless you’re one of those tea snobs). When it comes to straining, a clean wash cloth or sieve will do the trick if you’ve never even heard of cheesecloth, let alone have a clue where to pick it up. If you have to add more than 6 Tbsp of sugar, that’s fine. If you decide to use honey instead, that is not fine. Buy all of the spices in bulk; it’s cheaper and there’s no way you’d ever use a full jar of cloves anyway. Don’t be like my dad and think that if x amount of something is good than 2, 3 or 4x must be that much better. Up the cardamom and it will taste like liquid potpourri. Also, calling it chai tea is redundant. 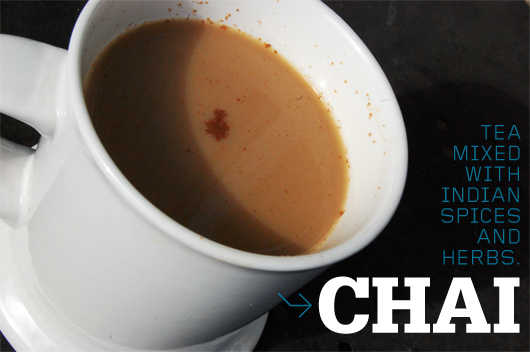 Chai actually means tea in Hindi, Gujarati, Punjabi and a number of other languages. The first sign of a tickle at the back of your throat that indicates you’re about to be felled by cold season. Start with a shot of whiskey or rum. Add boiling water, a slice of lemon, a spoonful of sugar, honey or maple syrup. Throw in a couple of cloves, a cinnamon stick and a tea bag if you want to get all fancy. It’s like Theraflu with class! Also, alcohol. Perfect finishing touch to a first date spent frolicking around a pumpkin patch and wandering through a corn maze. Break out a thermos of this stuff and wait to be happened upon by a photographer who will immortalize you on a J.Crew catalog cover. You can buy the base cider at the grocery store. A decent apple juice will do in a pinch, but will probably limit your odds of getting to second base. Just sayin’. Don’t use cheap, fake maple syrup. If you don’t have or can’t find the good stuff, opt for an equivalent amount of brown sugar instead. Skip the cheesecloth (seriously, what’s with this stuff?) and just strain the cider before serving. Choking on a stray clove isn’t romantic. It’s November. You’re depressed. And it’s the third year in a row that you’ve flamed out before making it even halfway through NaNoWriMo. 1.5 oz of dark rum and ginger beer/ale to taste. Serve on the rocks. Class it up with a slice of lime if you’re so inclined. Use decent quality ingredients. Aim a little higher than Bacardi and Canada Dry. You’ll thank me. In Bermuda, the name Dark ‘N’ Stormy is actually a registered trademark of Gosling Brothers Ltd. If the Dark and Stormy turns out not to be your thing, switch out the ginger ale for cola and retreat to more pedestrian familiar territory. 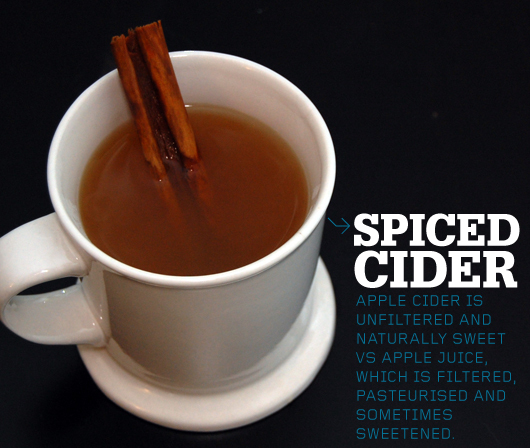 Do you have a favorite fall drink not listed here, or an alternative to one of the recipes? Share your ideas in the comments. J. Maureen Henderson is a writer, Gen Y expert and general know-it-all. She blogs pithily on personal and professional development at Generation Meh and can be wooed/stalked on Twitter or Facebook. If you’re nice, she might even tell you what the J. stands for. 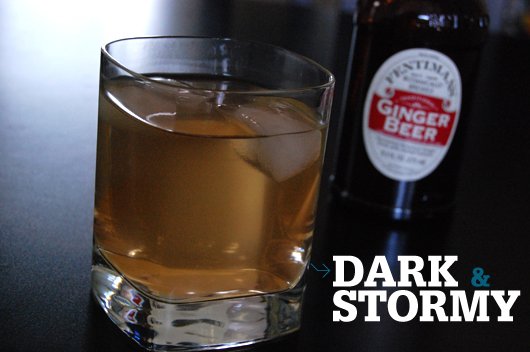 Dark & Stormy is a tropical drink. That makes it inherently different than the other drinks on this list, and definitely not a F/W drink. Hey Michael, Chai is an Indian drink, does that make it not a F/W drink? Being iced may mean it isn’t the best choice when stuck outside, but the Dark & Stormy’s ingredients are very similar to the others. Ginger, rum, spices, etc. 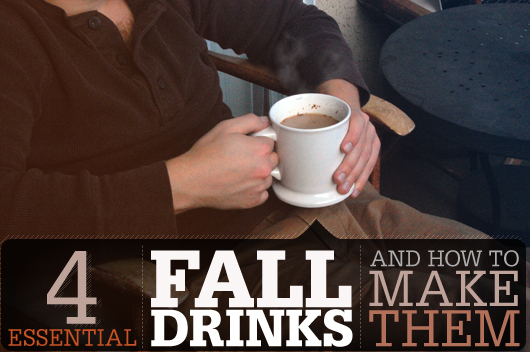 What would your fall drink recommendation be? Thanks for the comment! I definitely had the flavor profile in mind when I included the Dark & Stormy on the list. Ginger, spices, etc. And if it catches on as a new fall classic, I’m going to take all the credit! the bull shot: 4 oz. gin, dash of tobasco, dash of worcestershire, splash of lemon juice and a cup of hot beef bouillon. great hair of the dog drink. Cisco, WHOA! That sounds intense!! Thanks sharing it. Do you drink it or sip it like soup? Cheese cloth is a straining cloth. you get it at cooking stores, home depot, or walmart in the fabrics section. 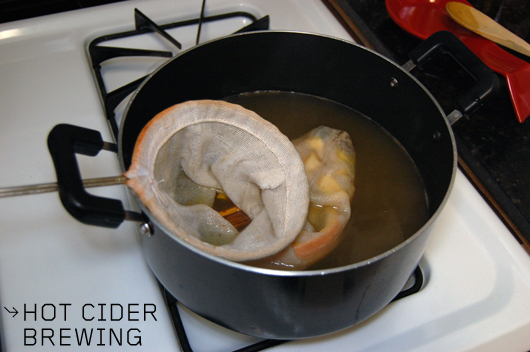 For the hot cider you say “skip the cheese cloth” then use almost the same thing! The pics are an editorial addition (and the eds are a fancier bunch than I am!) and not from my own teeny-tiny kitchen. I can assure you that I definitely did skip the cheese cloth (I’m lazy like that) and just used a regular ol’ metal strainer. The BEST Dark & Stormy I’ve ever assembled requires two name brands – Buffalo Rock Ginger Ale and Flor de Cana dark rum. They can be found in Birmingham, AL, and Nicaragua, respectively. Trust me when I say that adding these two will ruin all other D&Ss for you as nothing will be as good. Also, you must add a slice of lime (not lemon). Good luck. Enjoy. How about a good ole’ Old Fashion? I’m also partial to egg nog. Steven, Old Fashioned is one my favorites! Can’t say I’ve ever had Egg Nog.